Let’s escape the grey rainy winter… diving into pure bliss…exploring the majestic Lanzarote with the pure bliss yoga retreat. Here we keep on floating to the calm within.. we get grounded it to Mother Earth while experiencing pure bliss with simplicity. Lines and curves, colors and volcanic powerful earth, wind and waves, healing reflections and vibrations. A pure bliss retreat on Lanzarote offers so much enough to make us feel well rooted in our strength. 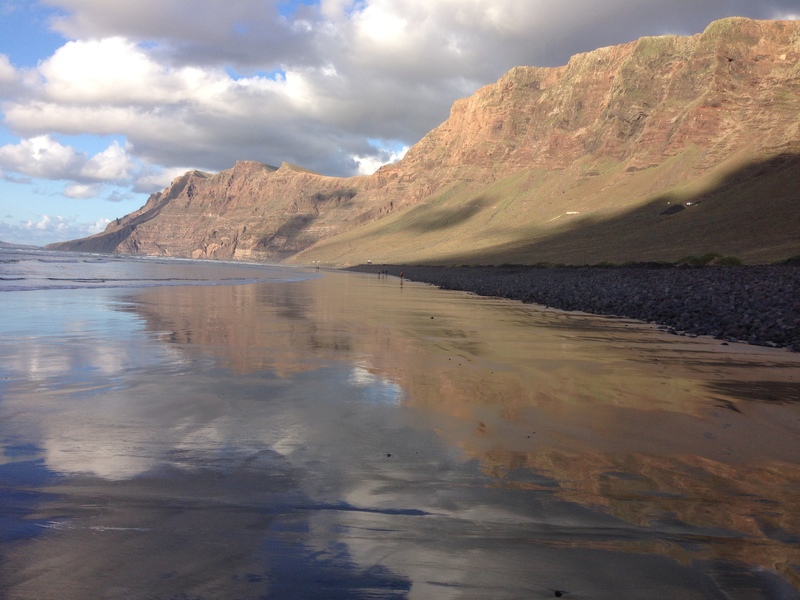 Offer yourself a week-long reinvigorating yoga holiday on the magnificent island of Lanzarote. You will return home feeling younger, motivated and with memories that will last a lifetime! During the week, we will take time to revitalize with a profound yoga practice, to unwind from daily life, to breath better and feel good within oursellves. Furthermore while shaking out the winter blues we surrender into the sublime nature of the island and embracing mother Earth. Yoga classes are held at the village of Las Brenas, on the south of the island. Practice takes place each morning while in the afternoons we are sharing together meditative walks and grounding practices. The seminar is decicated to the realms of “Conscious breathing”. For example we will explore breath as the doorway to emotional stability and physical rejuvenation. We will re- establish a healthy alignment betweeen posture and breathing, releasing into the “right tension”. Teaching is based on the principles of hatha-yoga bien tempéré. The sessions are structured in such a way that practitioners of various levels and styles will be able to follow with comfort and joy. Join us, it’s pure magic! BE QUICK! If you want to get amazingly good offers with flights and accommodation!!! There is a variety of charming houses, studios and villas to rent in the village of Las Brenas right next to the yoga place. Depending on individual needs and wishes accommodation costs may vary. (circa from EUR 25,-/ day | Single room occupancy). Contact me at any time for further details.